This is Enki, the sidekick of my Day 1 character Sierra. 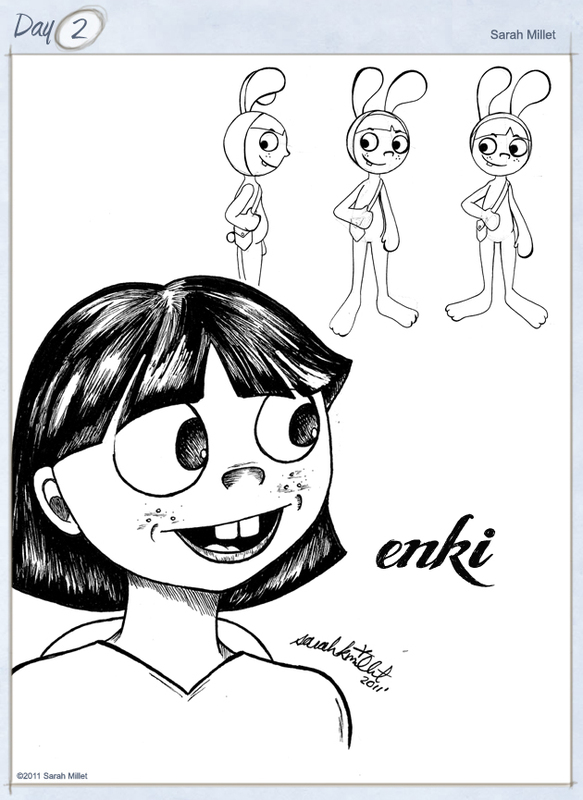 Enki is a 7 year old girl with a huge imagination. She is bubbly and humorous, but she is also very absent-minded and way too carefree. She also walks around in a bunny suit which she wears 24/7. She is seen here in the larger picture without her bunny hood on which is rare. She is also a dream hunter. Her weapon is her photographic memory and her ability to make her drawings come to life. In her little pouch she carries is a small sketchpad and some crayons so she is always ready. very cute! and a very fun idea! !